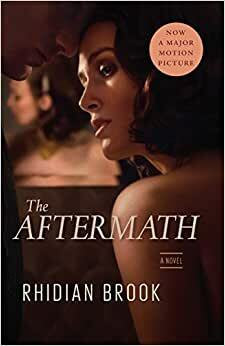 Start reading The Aftermath: Now A Major Film Starring Keira Knightley on your Kindle in under a minute. Rhidian Brook is an award-winning writer of fiction, television, and film. His debut novel, The Testimony of Taliesin Jones, won the Somerset Maugham Award, a Betty Trask Award, and the Author’s Club Best First Novel Award. His stories have appeared in The Paris Review and New Statesman. He lives in London with his wife and two children. An interesting insight into post war Germany. The complications of lives effected by the war was painfully human. I was not aware of the rebuilding of Germany by the victors and therefore found the book informative. I enjoyed the construction of the story with the interwoven characters and their interaction with each other and the times. 4.0 out of 5 starsA interesting piece of historical fiction. I stumbled upon this book and was delighted to thoroughly enjoy it. There are some voids and improbable elements but it is an interesting portrayel of post WW2 occupied Germany with characters worth spending time with. 4.0 out of 5 starsBetter than expected! Better than I expected - I'm over war stories - particularly this year....the characters were interesting and obviously the writer has done a great deal of research..
Quite good. Deals with a much misunderstood time and place in history, Germany after WWII. There's been a lot of history written about this lately that dispels the myths surrounding that time period, i.e. that the allied occupation of Germany was a benign undertaking. In fact, it was very brutal and millions of civilians suffered or lost their lives as a result. The notion of victor's justice and collective guilt were very much in evidence, as this book demonstrates. The prevailing mindset at the time seems to have been, "Well, you've slaughtered our innocent civilians so now it's our turn to do the same to yours!" It took several years for more reasonable minds(Hoover, Marshall, et. al.) to prevail. The Brits, to their credit and despite a shocking lack of funds, were probably the best of the occupiers. The Russians and the French were deplorable, the Americans little better. 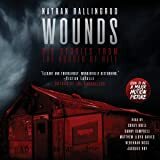 The protagonist in this story, a fundamentally decent British colonel named Lewis Morgan, demonstrates that humanity in very difficult circumstances, specifically by sharing a house requisitioned by the occupation authorities with its German owner and his daughter, something very unusual at the time. The story renders the characters as complex and basically sympathetic, conflicted and suffering in turn. There are echoes of Golding's "Lord of the Flies" with the trummerkinder and their "beast", the flies swarming the rubble and their juvenile hierarchy. Actually, I would have given this four and a half stars. The missing half star? Well the story is a little too neat, to my thinking, and it could have and maybe should have had a much darker ending. But, I guess we live in a feel good age, don't we? Also, there are some odd locutions in it. "Diffuse" is simply a mistake or a kindle mis-transcription for "defuse", also "callow", "murder"(a "murder of crows"?! ), and "strip"(although I found a British definition for that in the OED). Briticisms? Well, the author is British and well-educated (I assume) so perhaps. A moving tale of a British military officer who is assigned to Hamburg, Germany in 1946, immediately following the end of World War II. Colonel Lewis Morgan is allowed to resettle his family -- wife Rachael and son Edmund -- into a home requisitioned from a German family. When Lewis realizes that the owner, a widower and his teen daughter, will be put out, and sees that the home is more than spacious enough to house both families, he proposes a most unusual arrangement -- that the British and German families share the home. Thus the scene is set for a compelling look at all the horrors suffered on both sides and the painful process of picking up the pieces. While this story does not sugar coat the evils perpetrated by the Germans, it does serve to show a human side to those Germans who were caught in the middle, without minimizing the emotional toll the war took on the British. I enjoyed this book and would heartily recommend it. 5.0 out of 5 starsthis is a great read. this is an excellent book that i read for a book club that i would not have chosen myself and that's one of the benefits of book groups is that you read things you might ordinarily not choose to read by yourself. i had never considered how Germany might have struggled pulling itself together after the war. the story well documents the lives of several storytellers so that you get a real understanding how difficult it was for them.